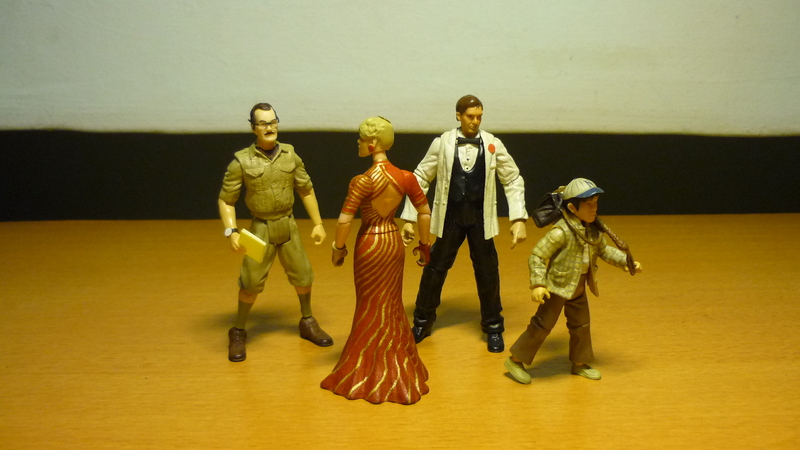 Here’s adding one more “Temple of Doom” character to my collection of custom figures. Art Weber was a British airport officer who worked at Nang Tao Airport in Shanghai. In 1935, Weber was approached by a Chinese kid named Short Round, who claimed to be the assistant of one Professor Jones and wanted to acquire, on behalf of the professor, three plane tickets to Bangkok. 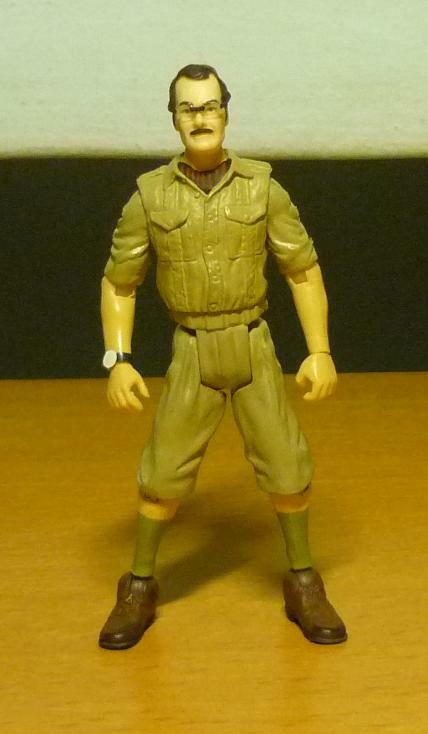 Initially dismissive at the thought of providing service to the kid, Weber changed his mind when Short Round gave him the last of Indy’s money as a bribe, while at the same time threatening Weber with a glimpse of the dagger in his belt. Despite the short notice, Weber managed to secure three seats on a freight flight which was departing that very night. And Weber’s reward for all his troubles was a close encounter with one of the passengers, a blonde bimbo singer who sang at the Club Obi-Wan, of whom he is a big fan. And he may have even took the car. 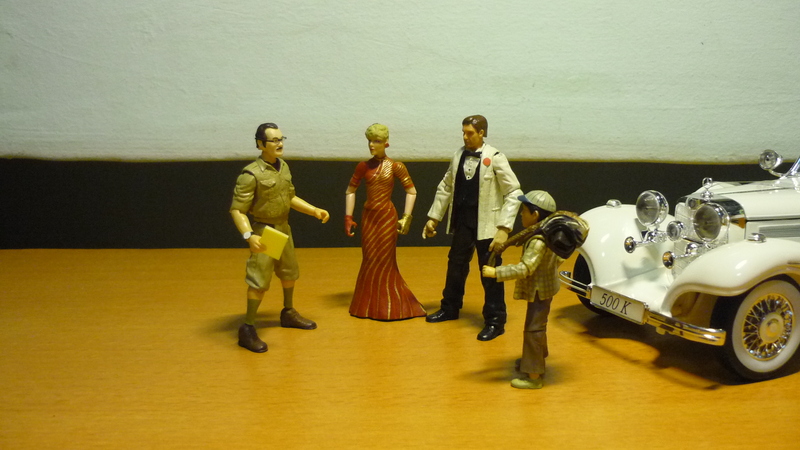 Weber is another minor character from “Temple of Doom” whom I had decided to create a custom figure. For some reason I felt that Admiral Motti bore a passing resemblance to Dan Aykroyd. A pair of spectacles was fashioned out of plastic for Weber. 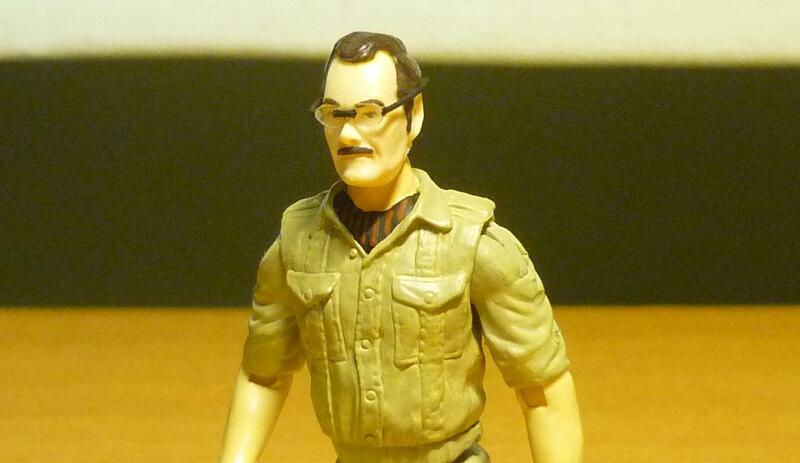 Epoxy was used to sculpt the scarf at the neck, and the moustache was painted on. The watch was made from paper and black tape. Ideally I would have wanted to use the lower legs of an Ugha Warrior for Weber, but as none were available, I converted the lower arms of a Cairo Henchman into legs by cutting off the hands and dremeling holes into the wrist, so that the shoes could be plugged in. Here’s a comparison between Barranca, Weber, and the Peruvian Porter (without his poncho). 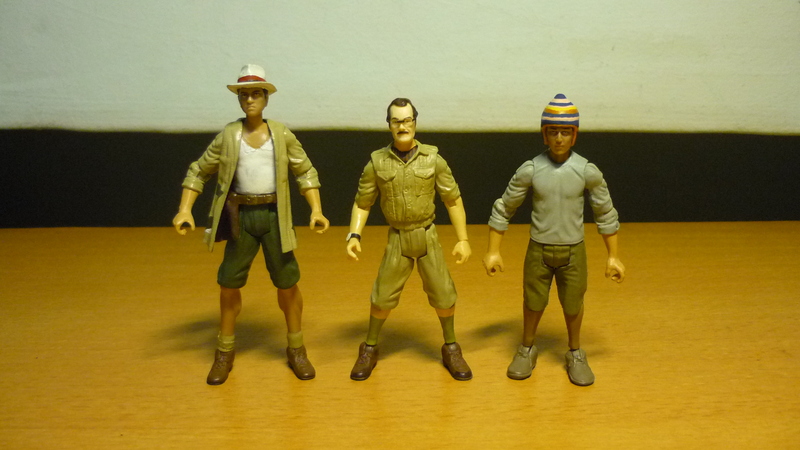 Both Weber and the Peruvian Porter use the Cairo Henchman’s arms as legs, which sort of made them look shorter.